”Over the years we have seen an amazing interest in this work and we have had a great response towards our courses and the subject of collecting photography. This, including the fact that we didn’t really see any comparable initiatives, was one of the main factors that lead to the foundation of Unseen”. 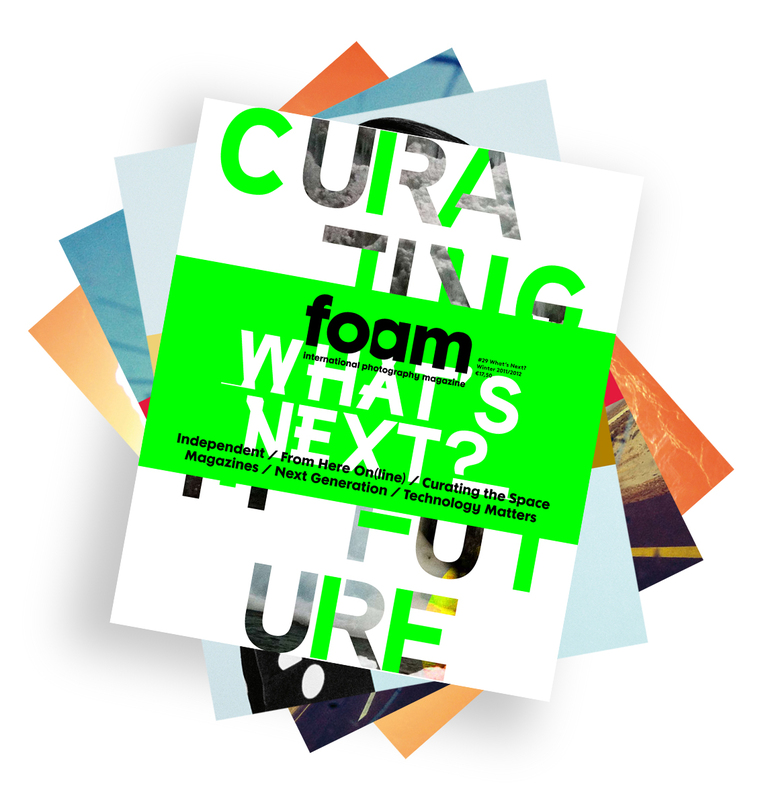 Marloes Krijnen is founder and director of Foam since 2001. She studied political science and mass communication at the University of Amsterdam and has been director of World Press Photo for ten years. Before she started Foam she was the owner of Transworld, an international photo agency. Foam enables people from all over the world to experience and enjoy photography, whether at the museum in Amsterdam, on the website, via the internationally distributed Foam Magazine or in the print sales room of Foam Editions. Foam focuses especially on exhibitions, publications, discussions and specific projects relevant to contemporary themes in the field of photography, with an emphasis on upcoming artists. Since 2012 Foam is one of the initiators of the international photography fair Unseen in Amsterdam. Marloes Krijnen took part in several juries, the ICP Infinity Awards, Les Rencontres d’Arles, the Recontres Africaines de la Photographie in Bamako, the Albert Renger-Patzsch Award of the Museum Folkwang in Essen and the Deutsche Börse Photography Prize. BF: You have quite an extensive history with photography. 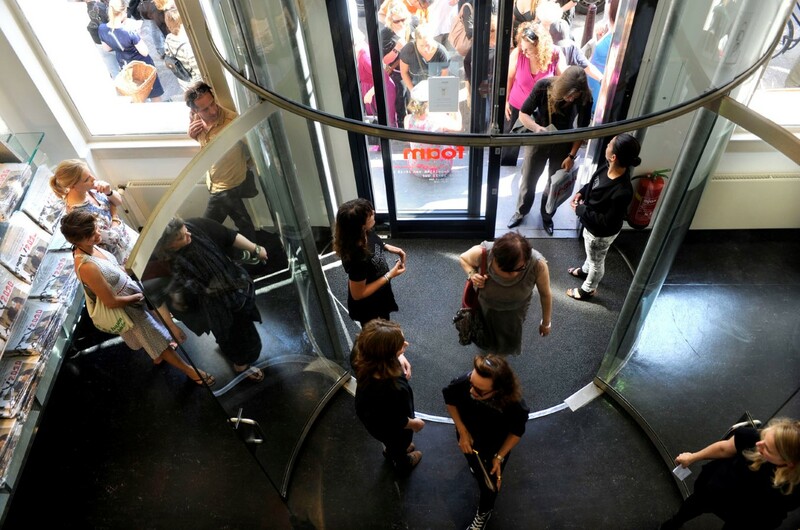 You are the former director of the World Press Photo, have been involved in the Prix Pictet Prize, and most importantly for the city of Amsterdam, the founder of Foam Fotografiemuseum Amsterdam. 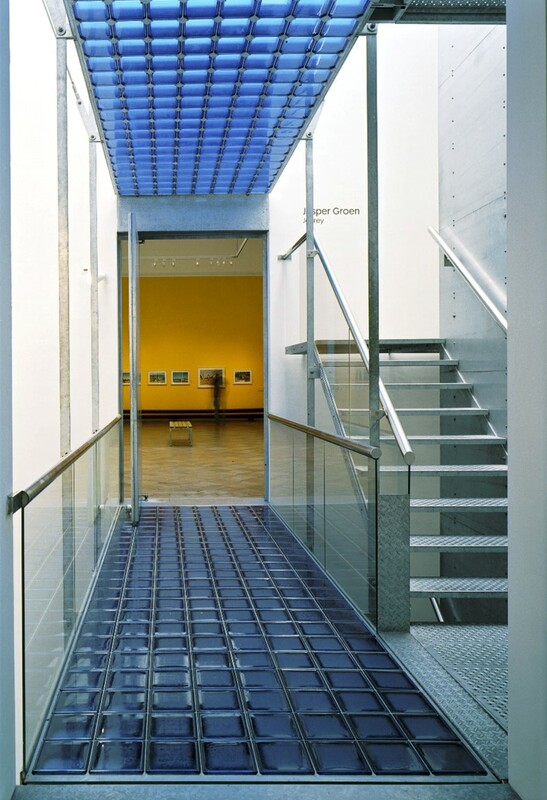 Foam is one of the world’s premier museums for photographic talent in the world. I assume you probably have also had a hand in the genesis of Unseen on some form or another. Can you tell our readership a little bit about what sets Foam and Unseen apart from many of the other photographic institutions and fairs in the world? MK: Foam is one of the founders of Unseen, an initiative that is a very logical result of our activities and experience with Foam. In Foam Editions, our in house gallery we have been selling limited editions of work by young photographers and organising Courses in Collecting Photography since 2007. Over the years we have seen an amazing interest in this work and we have had a great response towards our courses and the subject of collecting photography. This, including the fact that we didn’t really see any comparable initiatives, was one of the main factors that lead to the foundation of Unseen. Both Foam and Unseen are internationally operating organisations in the field of photography. I think what distinguishes us is our focus on talent development. Discovering, presenting and stimulating international photographic talent takes a prominent place in many our activities. Within Foam, the programming of Foam 3h is focused specifically on exhibiting the work of young artists. Each year, Foam Magazine also dedicates an entire issue exclusively to the international talent that is discovered in the renowned Talent Call. 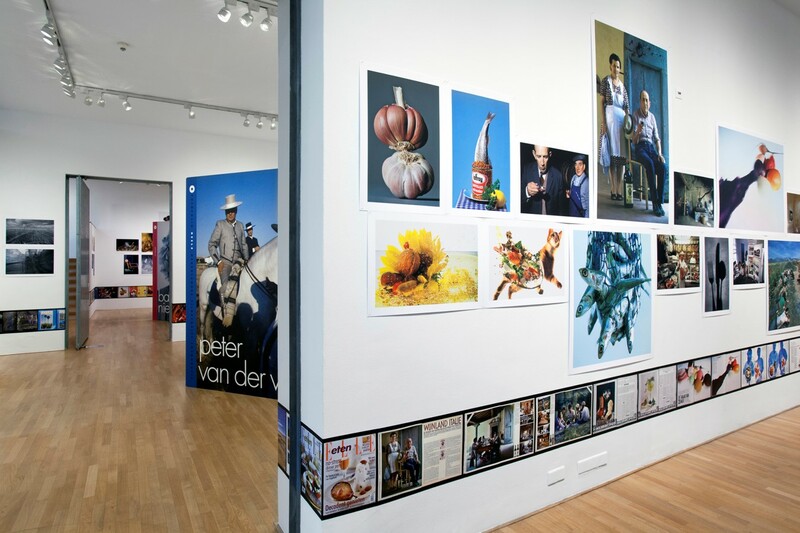 In recent years, Foam has also created a travelling exhibition of these works. Foam annually organises the Foam Paul Huf Award for artists under 35 years old. Since 2007 the prize has focused entirely on young, international talent and boasts an impressive list of previous winners including Taryn Simon (2007), Pieter Hugo (2008), Alex Prager (2012), Daniel Gordon (2014) and Momo Okabe (2015). 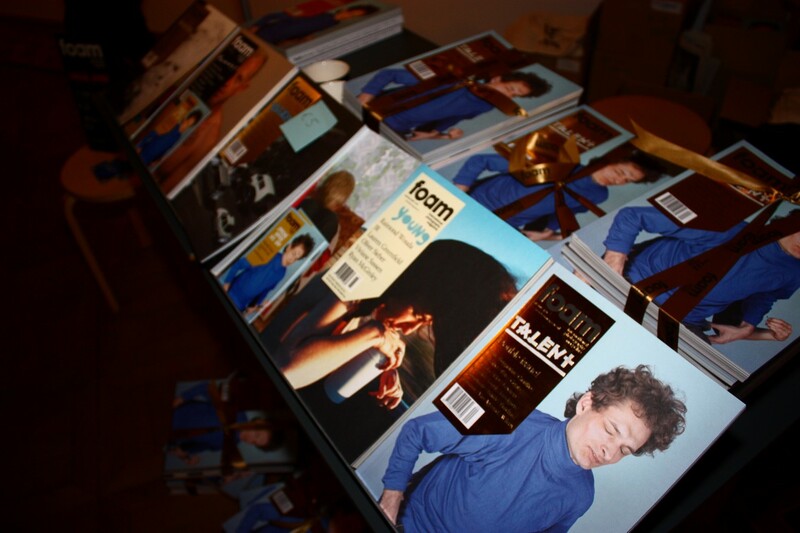 And lastly, the Foam collection is also focused on acquiring the work of young, promising photographers. Unseen is specifically concentrated on new photography. We present new work by young talent and established artists. The most important feature are the (this year over 80!) premieres the galleries are showing, work that has never been shown before in any art gallery, institution or at an art fair. I think this is a unique feature that sets Unseen apart. BF: FOAM concentrates in large measure on showcasing contemporary photography and generally quite young artists before they break into their careers. Noemie Goudal, Lorenzo Vitturi, Geert Goiris…many of these artists whom I very much appreciate have had significant shows over the past year at Foam. It must be a joy to be able to work with young talent at this level. Can you speak about the drive to showcase work with such prescience? MK: We put a lot of energy into and we utilise our close-knit network to scout new talent and present it on our platform. It is very interesting to work with these young talents and to be more than aware of the latest shifts or changes within photography. Over the years, we continue to follow the work of these talents that we discovered. We have invited artists back for larger solo exhibitions to show their developments on several occasions, like at the moment with the Dutch artist Anne de Vries. He started with a small exhibition in our Foam 3h space (our space for young talent) in 2007 and we are currently showing his solo exhibition with new work in our garden halls. It is very important to us enable these very talented young artists to show their work to a larger international audience and lower the thresholds for a wider audience. ”Unseen is specifically concentrated on new photography. We present new work by young talent and established artists. The most important feature are the (this year over 80!) premieres the galleries are showing, work that has never been shown before in any art gallery, institution or at an art fair. I think this is a unique feature that sets Unseen apart”. 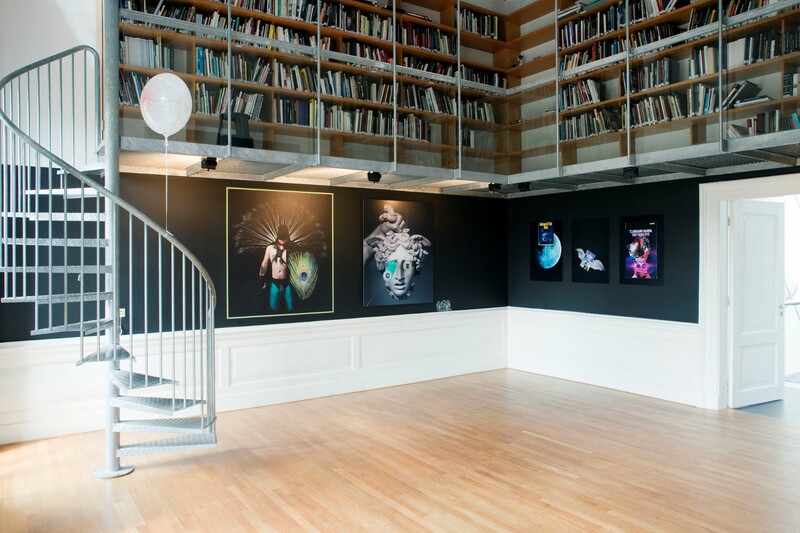 BF: Amsterdam has really crafted a special niche in the European photography over the past years. What is it about the city that it remains so open to photography? 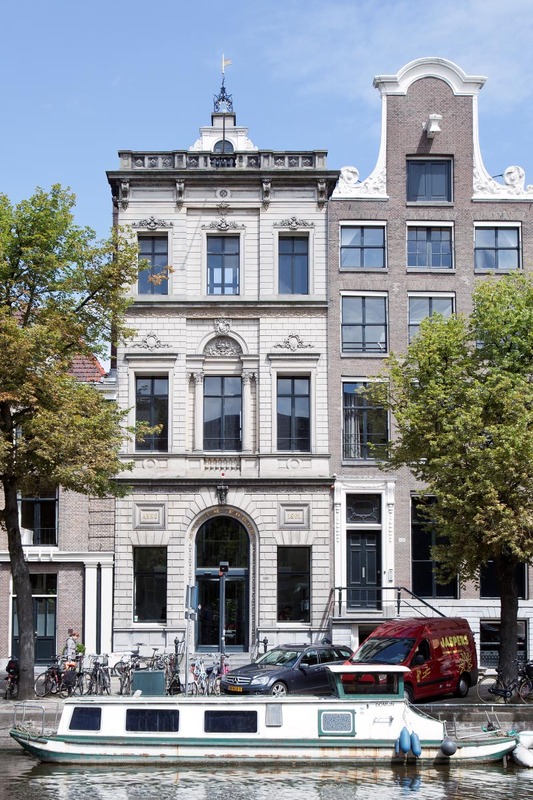 You have the Rijksmuseum, The Huis Marseille, Foam, and a number of important galleries, many of them young, like Boetzelaer/Nispen for example, are really pushing photography forward. Why Amsterdam now? MK: Holland traditionally has a strong visual culture. Amsterdam is an old city, but it has a lot of young, creative inhabitants who are very open to photography. This is also reflected in the high quality of our art academies. 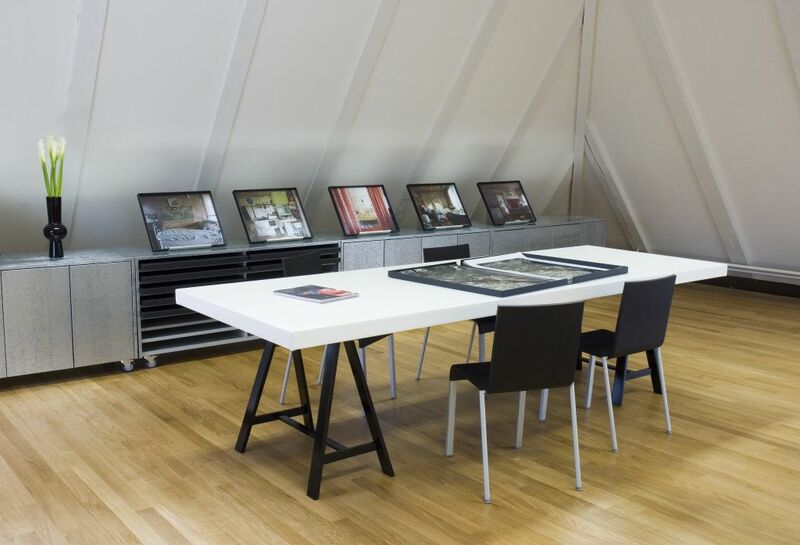 This combination creates a fruitful environment and one that makes Amsterdam into a true photography hub. BF: From public collections, to private, has photography always held such an interest to be collected in The Netherlands or has it been a build-up or a recently found openness to collecting the medium? MK: Patronage has always been very important to the Dutch, stemming from our history. The arts have always been supported through these forms of (private) funding, traditionally mostly focused on painting and sculpture. In combination with the general receptiveness to photography and the strong visual culture this tradition has grown, and developed with the arrival of new disciplines and has now also found a broad support for photography. BF: What strikes me as important for both the museum and the fair is an openness to engage with photography by way of lectures and events. What are the strengths of the educational side of your programming? MK: Talent development is our central focus in many educational projects, as well as at the Unseen Photo Fair. The photographic image is essential to the way we visually process reality and how we communicate. Therefore, the ability to read, define and understand imagery is essential. Education is of utmost importance to us. 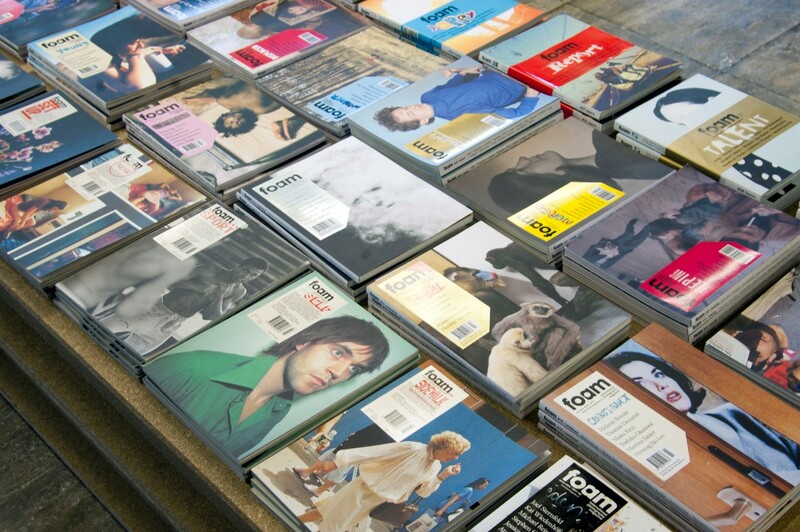 At Foam we focuses on all ages: from young children and teenagers to adults and seniors. In our approach, active participation of all parties is essential. Foam achieves this through a wide range of educational projects: from guided tours to long-term projects, both local and international. Many of our projects take place on location: at a school or in a neighbourhood. In these outreach programmes, photography has proven to be a great tool in bringing people in contact with each other, and in helping people develop their own critical attitude towards photography and image making. At Unseen our lectures and events are more developed to stimulate interaction, debate and discussion. To meet new people and learn more about what’s happening in the world of contemporary photography through talking to the artists and hearing about their ways. Last year we also included a section for students in our speakers programme, this was a Q & A session with photography professionals. The students were the ones who could ask the panelist whatever they wanted to know in regards to starting a profession within the arts. This year we have dedicated an entire day of our speaker programme to the young artist or student. Stimulating education is therefore essential for Unseen. For both Foam and Unseen the active engagement is essential, to stimulate the viewer to not just passively watch, but to really get involved with photography, and thus, with the world around us. BF: I have been visiting Unseen over the past two seasons and look forward to this year’s events. My personal favorite part of the fair is the emphasis on the living room talks. It presents an informal and undivided platform for audience and participants to meet and speak freely in a warm and inviting environment. I am sure you visit all parts of the fair, but where do you think its ultimate strength lies…the commercial side, dummy award, or the general experience of all the parts? MK: The experience of all of the above combined is the strength of Unseen. We hope visitors will take enough time to see, and participate in all parts of the Fair and the Festival. Each part has it’s own dynamic but the full programme is set up in a way that will give each visitor enough to pick and mix and enjoy all the facets, whether it is browsing the latest photography books, meeting with artists, joining in with discussions, checking out work in progress, exhibitions, new locations or dining with photographers. This year we have added an extended festival programme in the city that celebrates photography in all its forms. There is so much to see and do onsite as well as in the city, this year it is really worth staying in the city for a few days to be able to soak up all that Unseen has on offer. BF: It is somewhat unfair perhaps to ask for a specific booth or exhibition that you look forward to during unseen? MK: We are really proud to be able to present over 80 (!) premieres, works that have never been shown before in a gallery, institution or at an art fair. I think this is such a unique feature and it will surely attract many new visitors eager for new experiences. It will be a real thrill for anyone interested in photography to be able to discover so many new images and artists. I am specifically looking forward to meeting lots of young collectors and helping photography enthusiasts to find what they are looking for at the fair. We try to lower the threshold for people to buy photography by giving tips on collecting and by, for example, showcasing a special selection of works under 1000 Euros in the Unseen Collection. We created this element to show our visitors that owning a beautiful image is possible for everyone with a passion for photography. See you at Unseen! Posted in Interviews and tagged Brad Feuerhelm, FOAM, Interview, Marloes Krijnen, UnseenASX.